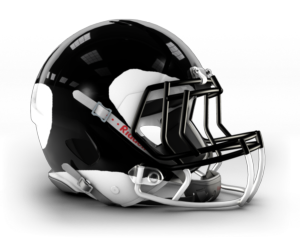 The Miami Killer Whales are an "expansion" team for the HIFL in season 8. Coming over from the American Premier League, the team has history prior to its arrival in the HIFL. Hola! I am William "Willy" Freeman! I am the owner of this fine team, and I am also an avid fisherman! You could call me, the Master Baiter! ...Regardless of all that, I am perfectly comfortable leaving the team in the hands of our amazing head coach, Max Rhodes. He is currently our GM and Head Coach, but if you are truly interested in bringing your talents to South Beach to prove that Miami is the only REAL Football team in the state of Florida, you should speak with me, and I will make a decision. My name is GM Cory and I've been keeping my eye on joining the HiFL for quite some time now but I've never had enough free time to jump both feet into the waters so to speak. I looked at joining the Bruins a year ago but they we're never really going to be a fit as many of the players didn't fit the vision I have for a football franchise. I've been waiting for a fresh expansion team that I can build and shape from the beginning installing a culture and values that promotes winning, excitement and excellence. I know you currently have Max Rhodes as head coach and general manager but I believe with a football mind like his and an eye for talent that I bring to the table we can make some waves here as an expansion in Season 8. The great state of Florida needs a resurgence. 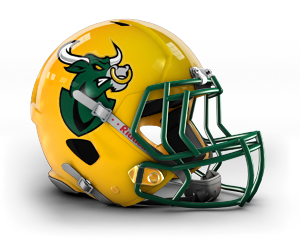 The U and the Gators are shells of their former dominance and to be frank the Orlando Stampede strike me as a team that will struggle to get to the next level here in the HiFL. 9-6, Wildcard loss....I know I can bring better to Florida and I can do that here in Miami. I have a passion for this game that will be unmatched by the other GM's in this league and I firmly believe to be an effective GM you need to not only approach this game from the front office perspective but that of a fan. I have a dedication to my craft that will help us find the best talents that fit our system all while understanding the passion of the football fan base in Miami and knowing what kind of player THEY want to be wearing the Killer Whales black & white. If you're still in the market for a GM I'd love to continue this conversation further. GM Cory, I appreciate your interest in my fantastic organization. We currently have a lot of pieces in place, so if I were to bring you in, I would likely trade some of my already acquired pieces for draft picks so that you can build the team in your image. I would certainly be interested Mr. Freeman, the more ammunition we have to build through the draft the better. We have a great starting piece I see in Tight End Shawn Simon who certainly fits what I like in an offence so if we can make sure we hold onto him and add draft picks as you desire. We will be in touch GM Cory, we had already planned on running this season under Coach Rhodes' guidance, and I am concerned that he would leave the team if we were to take that power away at this time. Here is our report coming out of camp! Sources tell me that Miami is looking for a GM that will put their franchise on the map, have I been misled? GM Garcia... My god, we heard you were dead.. You're a legend in the state of Florida from your time with the Daytona Beach Sharks... I've got to say, I was very happy with my GM, Theo Greenside... but for Santelmo to return from the dead.. how can i turn you down?! Now that explains all those cards I got. Daytona were the good ol' days Willy, but I plan on having even better ones here in Miami. Glad to be on board! Is there anything else you'd like to discuss? Otherwise I'd like to introduce myself to Coach Rhodes. Your only expectation this year is to gain a feel for the team and its strengths and weaknesses so that you may evaluate what needs to change to be successful... Good luck! Good to know, boss. I'm sure we'll hunting down the Stampede in no time! Miss Purse, pleasure to meet you. Can I call ya Kitty? You may, or you can call me Selina, any of the three is fine. ...Selina it is. Can you please arrange a meeting with Coach Rhodes for when he is next available. Coach, nice to meet ya! I'm sure yourself and the team were not anticipating a shift in management at this point in the season, but I can assure you, I'm here to do what is best for the team, and the franchise. How is the team feeling after the change up? Hello there.. The team respects myself and the coaching staff very much, so the change in GMs didn't do anything bad to morale, if anything, your reputation as a wild card sort of created a bit of a buzz around the locker room... as long as you don't go hitting our star player with a Hail Mary. I'll try my best. Now, I've had q quick recap of our first three games, and I'm not overly alarmed at whatI saw. If ya don't mind, can you give me a breakdown of your style as a head coach and the philosophy you have implemented over the last two seasons. We typically run a balanced style playbook. 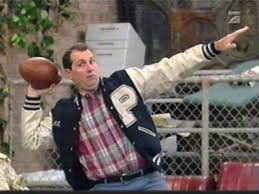 We've been a run heavy team, partially due to our lack of a real top-flight quarterback. I am a coach that prides himself on being able to run any style of offense. We're big on maximizing the talent we have, so if you can add talent, we can use it. You don't have to worry about "scheme-fit" generally. We've been running the 3-4 on defense and a 3-3-5 in passing situations. So 4 linebackers, 3 defensive linemen generally. That is the position that takes priority for us in the offseason, but this year we just need to focus on utilising the talent we have and giving our fans a performance to cheer about each week, win or lose. I was curious about Brewster, we seem to be lacking completetions when it comes to our passing game. Does this fall at his feet? We have a guy catching the ball who is in the record books... for catches. I appreciate Brewster is ageing and that is likely having an impact on his game, but at the moment, we seem predictable in our offence. Handing the ball to Zellor can't be our only option. How do you feel about Alicea? Could he step in and bring something different if we need him to? And on another note, could we hand the ball to Sami more often? Zellor is the man, of course, but I am just thinking out loud. Is he capable of bringing more to our offence? We can definitely get Sami more carries, but at QB its always tough... I don't think either QB has the long term answer, but perhaps Alicea could give a spark to the offense? It might be worth a shot, but for Atlanta I think we have the tools to beat them. Lets get Sami some more carries though, take some of the pressure off of Zellor. Before I let you get back to it, just a quick word on defence. I think we have some decent players through out, but our corners look real average. Given the lack of a real force in this area, would pushing the blitz more often compensate for or expose that weakness? the blitz can either protect or expose troubled corners. The thing to think about is if our blitz can get to the QB in time. If it can, then the corners have a better chance for success, but if the offense stops our blitz and picks it up, then our corners are all alone without much help and it could be troublesome. Good to know, Coach. Like I said, I didn't want to keep you too long. I'll have a chat with the rest of the coaching team and some of the players after we get Atlanta out of the way. I'll be sure to stop by the locker room before kick off though. Stick with your current line up and system, but lets see Sami get a few more carries. Pass on my well wishes if you will and good luck. It was a dramatic week, that is for sure. We just struggled offensively to get over the line, we out played our opposition, just didn't have the killer instinct until the pressure was really on us in that fourth quarter and we came good. Credit has to go toward our special team for keeping the score within reaching distance, but realistically, against teams like the Nighthawks we are going to have to execute and complete more than we have been. That being said, this win is a great platform for us to move forward, and there were many positives on show out on the field. Brewster, for example, had a great game and really came through for the team when it needed him. 2. Give us an evaluation of the first quarter of the season for your team, who has stood out both good and bad? That is a tough question to answer, given I have only been in charge for one of the four games so far. However, I feel that the team is performing at a higher level than what I saw from my couch last season. I think it is clear who the key players have been so far, but I feel there is so much more to come from them. Zellor and Houser are the danger men in our offence, but we have talent throughout and we really need to focus on getting the best out of them. Brewster had one of his best games for us this week, it was a huge improvement on recent performances, but we can't ignore who we were playing against. Consistency from our QB is going to be vital for us going forward. Defensively, I feel we have been quite consistent all round, but there are certain areas to improve upon. 3. With where you sit in the standings, do you feel it is a true reflection of your team? Where do you feel you should stand, and what do you need to do to achieve that by the end of the season? At the moment that is hard to say, going off of the last few years, this is was a losing team. We have some tough games ahead and once we face those challenges I will be in a better position to answer the question. 4. What has been the biggest challenge for your team so far this season, and who would you say was your teams MVP? There were a lot of new players brought in to lead the offence and I think a lot of them are still gelling and still finding a fit amongst one another. As an MVP, it is far too early in the season to highlight one man as the best player on this team, but Zellor has been key for a few of our results. Getting the ball over that touchline! Of course it is more complex than that, we have their blitz to worry about too, but I am confident we can give them a challenging time. "What brings you to Miami, and what do you believe to be your greatest strength as a GM?" I had a helluva time up at Daytona Beach a few years back, thought I'd see what I could achieve in the HIFL. I am not known for humility, so for a man like me, that is a real loaded question. But if I were to pinpoint one strength that I feel is universal when it comes to the competitive field; I know my enemies, or at least my opposition. I know their strengths, their weaknesses, I know how they think, but whether I can exploit them... that is another matter entirely, and a talent that needs fully honing. Well, a win to start your career, and in overtime to boot... hope you got a chance to start your evaluations after seeing the team live. Indeed, didn't look like it was going to come though. Brewster stepped it up this week, think he can maiantain that level of performance or was his job made easier by Atlanta? It's hard to know for sure, but I am curious to see if your arrival has motivated him more. Worthington too, kid was serving up pancakes like we'd skipped breakfast. I'll make sure I congratulate Brewster on a game well played. I'm going to check in with the rest of the coaching team, get their feedback on a few matters before we discuss a game plan for Alabama. I have a few thoughts in mind. Selina, can you let Coach McNeil know I'm on my down. Coach, good job this week, might have taken some overtime, but we looked better offensively. I was hoping you could give me a run down of our key players, I'm still trying to wrap my head around what is THE system for Miami football, this season and beyond. But to do that, I just need to know a little more about these guys, their style of play, strengths, weaknesses, etc, whatever you have the time to indulge me with. When I say key players, I'm talking about; Zellor, Houser, Ozil, Worthington, Williams, Brewster & Caron. Alright here's what I've got, let me know if you need or want more info..
First lets talk Zeller. Some back story here, the kid was a 4th round pick by San Antonio, then they dished him our way before they locked in that season. He started all 16 games last year, rushed for 1417 yards but only 2 TDs. He lost 3 fumbles, caught 17 passes for 173 yards, and returned 48 kicks, averaging 22.3 yards per return, he had two kick returns for TDs and 1 Punt return for a touchdown too. So he showed he had a great potential future. He has solid strength, great agility, above average speed. He reminds me of a Oakland legend, Dan Rhodes who is now a coordinator in the league. I see him as a true building block at running back and with him only costing 1.5MM the next year after this one, he's a steal when it comes to financial flexibility. Now with Houser... He is honestly probably better suited as a trade chip to find an up and coming WR talent that also provides some salary relief. We brought him in hoping we'd contend but so far it doesn't look like a great fit. He is one of the greatest WR's in the HIFL's history, but if we can get a decent trade partner, he really would be better suited for a title contender, if not though, he's a great receiver who could provide leadership and mentorship to our younger players. Ozil was a running back who we moved to fullback, he came from a German Football camp set up by GM Tritch back in Season 5. He's a solid hand, but he's never looked like he'd be much more than a quality back up who can contribute with the ball in his hands in limited use or in case of injury. As far as Worthington goes... He is one of the most productive and quality offensive linemen in the league, he's only 26 but he is due for a raise most likely when the contract comes up so he could either be a great trade asset, or a cornerstone to build around. I believe the latter is probably best, we got him and he's been really good. The last two seasons, he's combined for 159 pancakes and only 5 sacks allowed. and with Williams, Gene is really a disappointment. He had a lot of promise back in 2013 and 2014 with TOmbstone getting nearly 800 yards and a handful of TDs, but the last few years he's just been a guy who plays the part. Nothign flashy, nothing special, but at 3MM a year he's not a bad option at TE, just not a game changer. You know Brewster... he has all the tools, sometimes i think it's just in his head why he doesn't pull it all together, he's got a great arm, he's got solid accuracy, he's smart and knows the game, but something hasn't clicked consistently. Hopefully that's changing now, but its just something I can't put my finger on. and Dominic Caron is probably past his prime, but he still has a great amount of speed and agility. He's not the greatest hands guy, but as a return man and overall speedster, he's a threat to score anytime he has the football. He's made some big plays in his career, but he''s also dropped 56 passes in his career, with 22 TDs, and 217 career catches. He's played a lot of football, but only started 22 games in his career. That's great, Coach. Thank you. Out of curiosity, how many passes has Caron dropped this season, in comparison to Bello, Houser and Williams? My stats guy, the fat one that follows me around like he's Paul DeFuckingPodesta, and Caron has been far more productive than Bello and to an extent, Houser. Also, whilst we are on the topic of potential changes to the starting line up, I discussed with Coach Rhodes maybe giving Alicea a throw, given the performances of Brewster prior to Atlanta. I'd be interested in seeing what he is capable of going forward too, I know he is on an expiring contract currently, but my primary objective for the next offseason is most likely going to be bringing in a QB who can lead this franchise. That may well be in the draft, and a guy like Alicea could play a role if that were the case. What can he bring, if anything, different to the table? Well with our receivers, Caron leads the team in drops with 7, yeah... one more than he's caught this year. Zeller is next with 5, with only 11 catches, which is still 3rd most catches on our team. Bello has dropped 1 and caught 3.. Meanwhile Houser has 12 catches and no drops. he's only dropped 22 in his 130 career games as is. There are no other drops on our team. Now on to Alicea, he's a polarizing player. Some think he has some talent and ability to elevate his game, but he's done nothing but go down hill each season since his rookie year, the last two years he's been terrible with 10 TDs and 11 INTs. Hmm, that is certainly an issue. Either of the young receivers stand out to you in practice? Murphy has decent speed and solid hands, but he still drops balls, he dropped 9 last year. Wolfe has poor hands and needs to keep working on them to become a player who deserves playing time. With one of the all time great catchers in our team, I'd be tempted to see what sort of wisdom he could impart on these guys, but I am thinking we need a near overhaul on the offensive side. We have a couple of players to build around though, which is great. What offensive formation have you been playing? Are there potential adjustments there that could benefit either Brewster or Zellor? A quicker snap, pro or I, slower play, etc. We have been running a balanced playbook that uses a bit of every formation, with a normal tempo, but with a new GM in town we're open to change. That may well be something I will look to change up. I think I have taken up enough of your time, for now. Pleasure meeting ya, Coach, I will most likely run changes past Coach Rhodes, but your input has been extremely useful. Selina can you arrange a meeting with Coach Patricia please. Coach, take a seat, I have a few questions. Firstly, great job with the defense this season, I think it has been the highlight of our season, and perhaps should have a little more praise from myself in the press conference. I was hoping for a review of some of our key players, your input on them, their potential, and so forth. I understand we have been running a 3-4 and I think this works well for us against most teams, but I am concerned at our coverage on the receivers. The aforementioned players I am looking for input on are; Albert, Chow, Cervantes, Garza, Jackson, Freese and Stephens. Lastly, correct me if I am wrong, but has the big lad McLendon got a sack for every tackle he's made this season? We only paying him for sacks?! Juan Albert is from the American Premier League, the same league that folded a few years ago and lead to our move to the HIFL. He has been solid for us, with 8 tackles last year and 10 sacks, he is a bit undersized but he works hard and competes hard and gives his all every time he steps onto the field. He's a great hand and a solid contributor. Samuel Chow was another top 10 draft pick of ours from last year. He is a freak athlete who can do things at speeds others his size couldn't imagine! He has the potential to be one of the greatest pass rushing linebackers of all time, if he develops properly. He has been criticized in college and even during the draft process for being lazy or resting on his laurels, but 33 tackles in his first 4 games makes me think that even if he doesn't like to go the extra mile in practice, or really do much in practice at all, he has the natural ability to dominate, because when the game starts he is a warrior and he has one focus. Destroy. Robert Cervantes is one of my favorite players on the team. He's got everything you want in a player from leadership skills to work ethic to attitude and as a former 6th round pick he plays with a chip on his shoulder all the time. Last year in his first year with us after spending 2 years in Oakland, he set a career high with 11 sacks. He had 4 in each of his first two years with Oakland, but again with us he's already got 4 this year. Puts him on pace for 16, but even if he doesn't hit that mark, he's a quality player who really disrupts the offense of the other team. Jared Garza is coming into his second year after being a 2nd round pick for us the year prior. He had a great rookie year with 111 tackles, 3 forced fumbles, 4 sacks, and 3 INTs. Now this year he's already got 3 sacks, he's on pace for around 100 tackles, and he's yet to miss a tackle. He's looking like a good find for us. Marcus Jackson another veteran of the American Premier League years for our franchise, is a solid player but not spectacular. He's a guy who is going to generally give you consistent play, and with his massive size he's a great block eater who opens up the field for the rest of the defense to get to the ball. David Freese is a guy who had NO business falling out of the first round, so we pounced on him! Hes already got 5 sacks in his first 4 career games, so clearly he's wasting no time getting to work. He comes from a great bloodline, the Freese family is famous for its defensive coaching prowess, even if his uncles Travis and Otis didn't work out great in the HIFL, they were already hall of famers in the football world, and lets be honest... their GMs didn't exactly do them any favors here in the HIFL, if you know what I mean.. anyways, the kid is a force to be reckoned with and the fans LOVE him. He's already a favorite in Miami, and folks see him as a face of the franchise. Scotty Stephens was a high draft pick in the first round for us this year, we took him #4 overall because he has all the tools to be one of the top safeties in the game one day. He's already a quick, agile, and intelligent player who is a sure tackler. He could benefit from getting stronger but he's an all around safety who does most things really well, even though he's not stuffing the stat sheet just yet, we think he has the ability to be a big time player. He's a great worker and he competes hard on the field, but he does have a bit of an ego and an attitude, so be forewarned. As for Merlin, he's seemed to have found a place in our 3rd down sets, he's come in off the bench and provided us with some important sacks, which is great considering last year he was a full time starter for us at DE and had a career high 5 sacks all year, he's already at 4, which considering he's fighting for playing time, is pretty nice. Outside of those I highlighted, is there anyone else on defence you feel deserves more of my attention for what they bring? I've been impressed with Kyle Foster, our 4th round corner. He dropped in the draft because he didn't test well in the general IQ exams, but he has 6 pass deflections and an interception already, and he's held his own overall. I agree, he has look quite useful. He got a not wanting to play by the rules streak about him though? Him and Pickens have both picked up a few penalties this season. In regards to the formation, 3-4, is this your preferred system? I'm not looking to fix what isn't broken here, just wanting to get an idea of what type of player we could look to bring in during the off season to supplement what is already a cohesive unit. Our base is preferred as the 3-4 yes, but we really use a lot of looks. Currently first down in all situations, 2nd and short, 3rd and short, 4th and short are all 3-4 sets. On the goal line we run a 4-3.
and then 4th and long or late in the game with a lead, we will roll out a dime look with 4 corners, 2 safeties, 1 LB, and 4 Defensive linemen. We really run a complex defense. Good to know. It might be complex, but it has been pretty damn effective so far this season. I think we can leave this discussion on that point, thank you for your time. Ms Moneypenny.. er, I mean, Selina, can you call Jim Bond to my office please. Mr Bond, I feel like I should have a cat on my lap. How many times you heard that one? Just looking to learn a little more about the staff here in Miami. I understand you won't be truly active until the post/off season, but could you give me a break down of what you bring to the role? You're as cheeky as they said... pleasure to meet you Mr. Garcia. I am a quarterback specialist. My strength is identifying accurate and intelligent players. When it comes to other positions I do just fine like most scouts, but my best strength is looking at quarterbacks and really sorting them out clearly. The pleasure is all mine, your talents will be needed I am sure. I'll look forward to your reports when the time comes. Unfortunately, I am not sure there is much else to discuss between us at this moment in time. Selina, can you arrange a meeting with Assistant Coach Foster. Coach Foster, I hope you are well. Been doing the rounds, getting to know my staff. Can you give me some insight into your role here? There a set area you specialise? I'm a retired offensive lineman, I played as an offensive tackle since the first season of the HIFL until the end of season 7. I started every single game during that period, 112 starts, with 334 pancakes and 39 sacks allowed, only giving up 3 and 2 in my final two seasons respectively. In the playoffs I played 10 games, making it to the playoffs in 5 of my 7 years in the league, with 32 pancakes and 4 sacks allowed. I was a two time pro bowler as well, so I know a thing or two about good line play. I've been working with the offensive line as an extra coach to help out with their technique. That is good to hear, how do you feel about our offensive line overall? I don't think we have necessarily a weak link, but what are your thoughts?